Openet Telecom, the world leader in advanced mediation, real-time charging and network-edge rating, has announced that Joe Hogan, CTO of Openet, will address how high-speed, flexible correlation addresses challenges with Lawful Intercept monitoring, surveillance, and analysis at ISS World in Washington DC on December 4th. The Intelligence Support Systems (ISS) World event tackles topics relating to Lawful Interception, Investigative Analysis and Network Security. 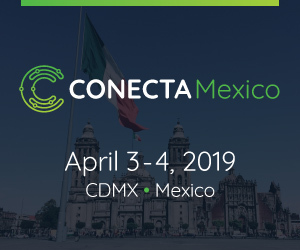 It is the world’s largest gathering of telecommunications service providers, government intercept policy makers, law enforcement agents, investigative analysts, prosecutors and vendors addressing lawful interception issues and solutions. Flexible correlation platforms provide a far more sophisticated surveillance processing capability than traditional single service Lawful Intercept products. Designed to meet the demands of Tier 1 converged service providers, Openet’s comprehensive network collection and correlation platform supports the real-time requirements of law enforcement for monitoring fixed, mobile and transient users of communications services. Openet Telecom is a world-leading provider of Active OSS solutions that enable network operators to maximize the profitability of their network and services. Our products, FusionWorks Mediation, FusionWorks ActiveCharge, FusionWorks ActiveRate and FusionWorks IMS enable network operators with diverse networks to easily implement, manage, charge for, rate and bill sophisticated service – leading to enhanced profitability and quality of services. With headquarters in Dublin, Ireland and major offices in Washington, Singapore and Sao Paulo, Openet Telecom has signed customers that include British Telecom, Cingular Wireless, StarHub, Orange Group, T-Mobile, TIM, Telstra, Verizon Wireless and Vodafone. Additional information is available at www.openet.com.